Just by shopping at Harris Teeter or Giant, or with eScript when you shop online, a percentage of the money spent comes directly to H-B to spend on students’ programming. In past years we’ve raised as much as $3000 in equipment and cash from the following four programs — and that’s with only a small percentage of our families taking part. Please help us reach our goal of doubling previous efforts to support media and technology. It will only take a few minutes of your time. Families must re-register at the beginning of each new school year. Link your Safeway card to the “Enroll in Box Tops for Education” section of their website. Every time you purchase a “box top” product, H-B will automatically be credited. Kleenex tissues are among the many products with “box tops,” so make something good come out of this year’s cold and flu season! Deliver BoxTops to the Main Office, too! We’ll turn them in for funding! New this year: Walmart works with Box Tops for Education by providing a downloadable app. Use the app to scan your box tops and credit the H-B account. Information is at Walmart.com/BoxTops. 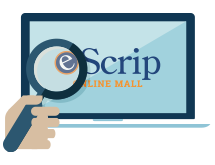 Do you shop at the online mall or dine out with eScrip? Learn about it! If you have difficulties enrolling in any of these programs, please send a note to Margaret.Carpenter @ apsva.us for trouble shooting. Thanks!